I recently bought a new pruner. The packaging said it was ergonomically correct and promised it would be easy to use. 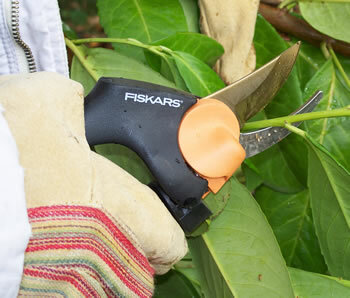 The pruner does live up to its marketing hype just as long as The Man of the House doesn’t use it. I’m right handed and it works just fine for me. The “ergonomically correct” design makes it almost impossible to use for lefties like TMOTH. The moral of the story is let the buyer beware. Ergonomically correct is in the eye of the beholder.